On 21 November 1978, Reims/Cessna F172N Skyhawk c/n F17201757 was registered PH-JBF in the Netherlands with Air Services Holland BV, Twello. 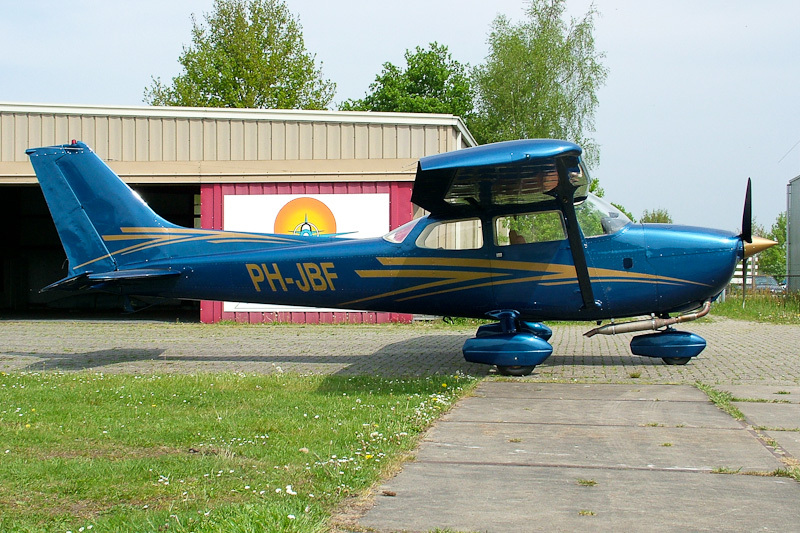 On 14 December 1978, the PH-JBF was registered with Aero Club Teuge BV, Deventer. On 15 April 1981, the 1978-built Reims/Cessna F172N Skyhawk was registered with Air Services Holland BV, Twello. On 15 July 1981, the PH-JBF was registered with Vliegbedrijf van Lent BV, Wijchen. On 10 October 1983, the aircraft was registered with Handelsonderneming Sarouck BV, Apeldoorn. On 18 April 1984, F172N PH-JBF was registered with Kroonduif Rondvluchten BV, Rotterdam. On 21 May 1991, the aircraft was transferred to Daviation Trade, Sweden, but registration PH-JBF was not cancelled and the ownership change was not registered at the CofA of the aircraft. On 19 September 1991, Reims/Cessna F172N PH-JBF was registered with Engineering North Hoogeveen BV, Hoogeveen. On 7 March 1994, J. Bouwmeester, Elim, was registered as owner and on 31 January 2001, registered ownership of the PH-JBF changed to J. Bouwmeester, Nieweroord. On 20 February 2008, the aircraft was registered with Chagall Veeningen BV, Veeningen. On 21 March 2011, Reims/Cessna F172N Skyhawk PH-JBF was registered with C.L.G. Rutten, Zwolle.